Jive Records announced that “Elevator” will be the second single from David Archuleta’s sophomore album The Other Side Of Down. The album release is less than a month away (October 5). The latest official photo from the album’s photo shoot shows David in those famous boots balancing himself on a wooden beam. Is he practicing for the Olympics? Too bad I couldn’t find a larger version. Right now are you imagining the music video for “Elevator”? The uptempo track was co-penned by Shelly Peiken, Archuleta, and his guitarist Mike Krompass. To hear ‘Elevator,’ which follows Archuleta’s lead-off single, ‘Something ‘Bout Love,’ head over to AOL Radio’s New Pop First station. Singer/songwriter Priscilla Renea has worked with a long list of musical artists, but when she began working with American Idol alum and Neon Limelight fav David Archuleta on his sophomore album, The Other Side Of Down, she noticed something special about the 19-year-old. “He’s one of the ones that kind of was like, even though he’s been through the whole American Idol thing and he had all this fame when he was 16 years old, he’s still the sweetest, nicest person,” she told NeonLimelight.com in a telephone interview. See David LIVE in Ohio! Midwesterners! Want to see David perform live in Ohio? Well, he will be performing at the taping of Skate For the Heart at The Covelli Centre in Youngstown, Ohio on October 10th at 5 pm. For tickets, you can hit up ticketmaster.com or visit the Covelli Centre box office. Moving right along! In this week’s video, David previews two more tracks from “The Other Side of Down” while on a tour of Central Park in New York CIty. Check out the video right here, and get ready for October 5th! If you haven’t yet, make sure to pre-order “The Other Side of Down” from David’s Official Online Store now. As promised, here is part 2 of David Checking His Messages. We hope you loved part 1, and if you’d like to leave David a message, make sure to call his mobile hotline at 801-386-8196. Now, check out the video to see if he responded to your messages! 1 September, in Nashville to tape the Christmas special, “Orla Fallon Celtic Christmas,” which will air on PBS in December. 30 September, Up Close & Personal concert with Shontelle, Taubman Museum of Art, Roanoke, Virginia. Get tickets while you still can! Net proceeds from the event will benefit Greater Roanoke Susan G. Komen for the Cure. > Been in Memphis! Performed at the Delta Fair and got to ride some rides. Now going to Q107.5 for an interview. > K92radio Join the fight against breast cancer! Tix for @DavidArchie and @Shontelle_Layne on sale Thursday at 7am. Net proceeds go to Susan G. Komen. > I think I might watch a movie tonight. > Thanks everybody for retweeting to donate to Children’s Miracle Network! Don’t forget to confirm your donation at http://rt2give.com/r/31! > Everyone should go on at least one 30 min. run, jog or walk this week. It’s amazing how much it can freshen up your mind and body. > Another day of shooting photos for a quick photoshoot. > Part 2 of my answers to your Mobile Fan Club messages are now up on DavidArchuleta.com if you want to check it out! > Catching a little bit of Bruno Mars’ free show at the Grove in LA with some buds. > I found a Filipino restaurant. 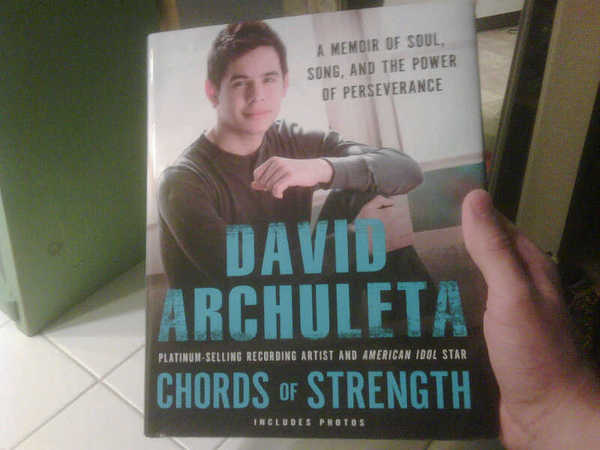 Follow David Archuleta on Twitter. He has nearly 471,000 followers, but who’s counting? —I am!!! During the past 21 weeks, David has averaged 5523 new followers each week. At this rate, David will have more than 542,000 followers by Christmastime. 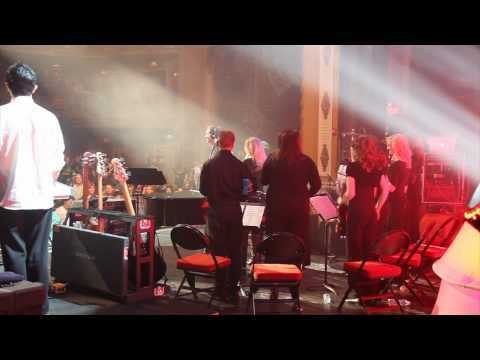 The Family Lowe—Kendra (keys, violin, vocal), Korinne, Kami, Kara, Kayli (violin/penny whistle), Doug (conductor)—and some of Korinne’s violin students formed the string section for the Kansas City show. Radio Disney ran a “Pick It or Kick It” poll for “Elevator,” David’s newest single, and “Pick it” was chosen 94%. Minja… great Buzz Wrap! I just wanted to say… after my trip to Memphis to see and hear David really…again made me see what wonderful fans David has. As my life played out that day… I ended up going to the Delta Fair alone but as soon as I got there and started talking with the rest of David’s fans I did not feel alone. All the people that I met were truly the sweetest and nicest people I have met in a very long time… just like David. So, to me this young man really makes a huge difference in this world and brings together some really different but somehow the same kinds of people. I just can’t explain how wonderful the fans were that day! The Lowe video was a nice treat and after watching it I headed to youtube because I just had to listen to Pat a Pan again. Thanks for the wrap!